Mike Dellheim joins Fes Works, Mark Savary, and Kelly Turnbull. 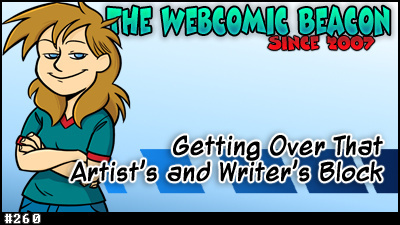 We saw Mike’s post on the Facebook group “Webcomic Creators”, asking peers for what they do to get over their artists and writer block. We go over dozen’s of creators’ suggestions. 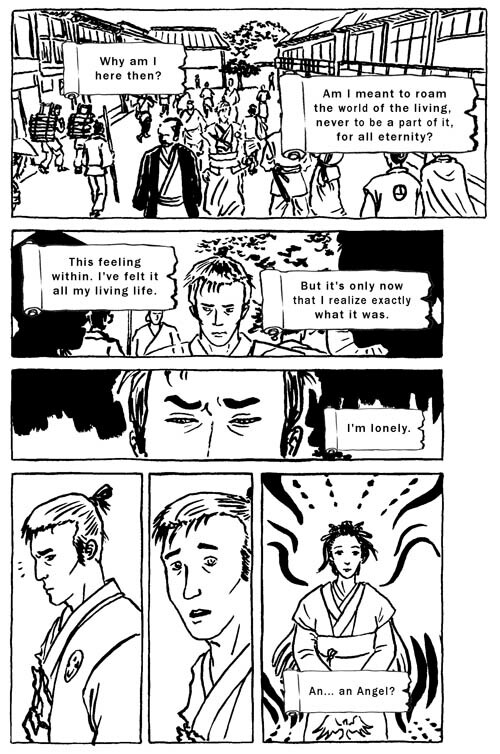 What are the most “definitive” webcomics to date, in your opinion? Read here for more and then email us ten (10) examples! We are also trying to put together a show that deals with copyright and trademark issues with one’s creations. Trying to find people for this one! We kinda want to do a “Fake Geek” episode sometime; both in being serious and having fun with it. If you think you might be a good person to have on the show for this, shoot us an email! If you have any suggestions or comments, you can email us or leave a voicemail at 1+320-310-0922. Avengers! … from 1993…. presented by Sugar Babies, Sugar Daddies, and Charleston Chew?? 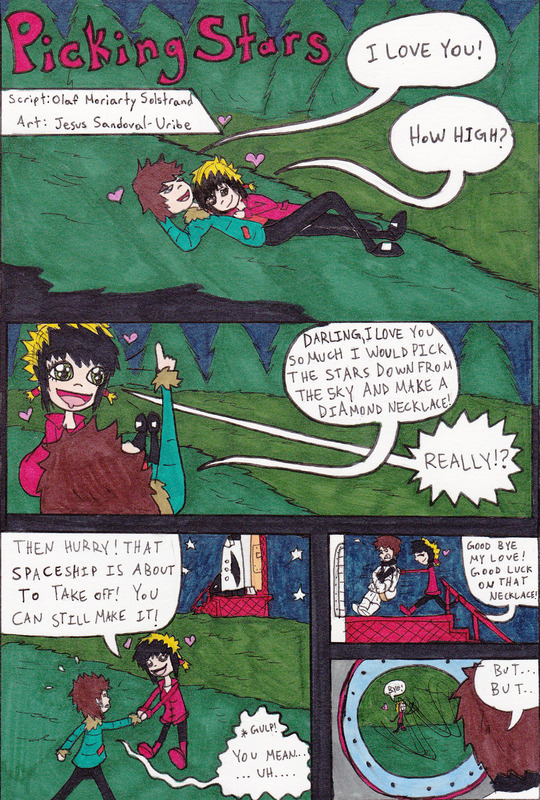 Fes Works reads chapter 5 (part 2) of SGL’s Tales of the Big Bad Wolf (Red Riding Hood Arc) for Webfiction World. Technically parts 2 and 3. Clocks in at about 23 minutes. Webfiction World plans on doing a few audio editions of webfiction serials, complete with permission from the original creators, of course! Update schedule has not been determined. Please provide feedback on what you think about these readings! Archived Tales of the Big Bad Wolf readings. Terence MacManus and Fes Works are here to bring a return to the Webcomic Beacon Newscast! We’ll be looking at comic news from the past two weeks, to discuss a handful of items that caught out interests. 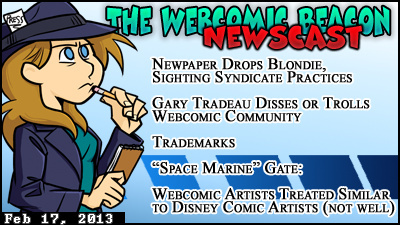 Comic news discussed includes why a newspaper had decided to drop Blondie, one of the oldest running newspaper comics still in print; Gary Trudeau (Bloom County) creates a comic strip that either shows he doesn’t support webcomics, or is simply trolling everyone; Games Workshop muscling on a independent writer over the apparent trademark of the very common phrase “space marine”; and Don Rosa talks about the way Disney Comics treats it’s artists, what he did to try and maintain SOME level of control, and we discuss how Disney’s practices are actually reflected in many webcomic artist/writer teams. WCBN Notice: We are still looking for more potential newscast crew members and guest hosts as we move forward with the newscast and the new format. If you would like to be considered, email us at webcomicbeacon@gmail.com and be sure to read this post for more information! Another film adaptation, with a look at the first issue of three. Does this first issue make you want to get the last two? 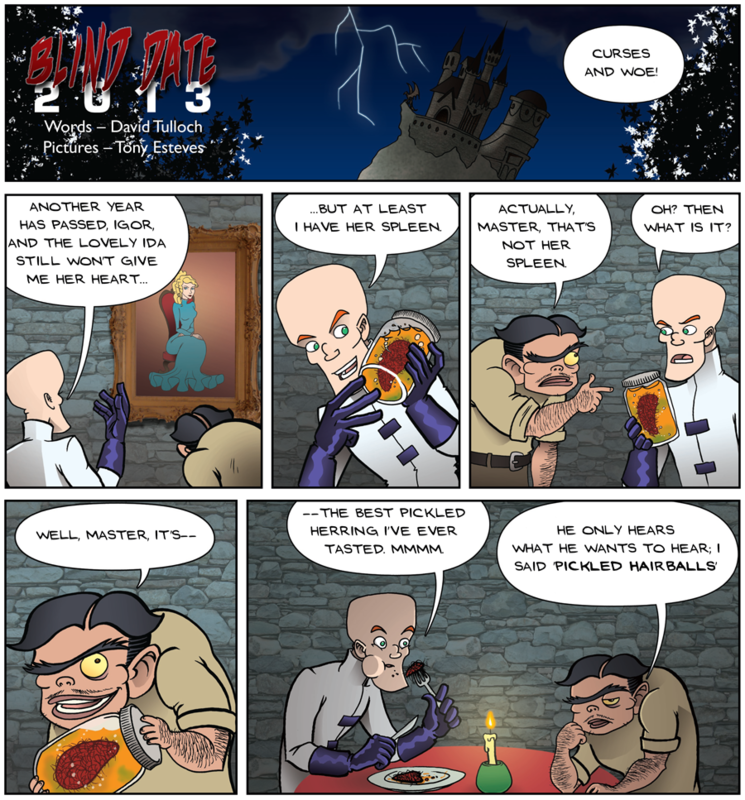 Webcomic Blind Date 2013 Results! 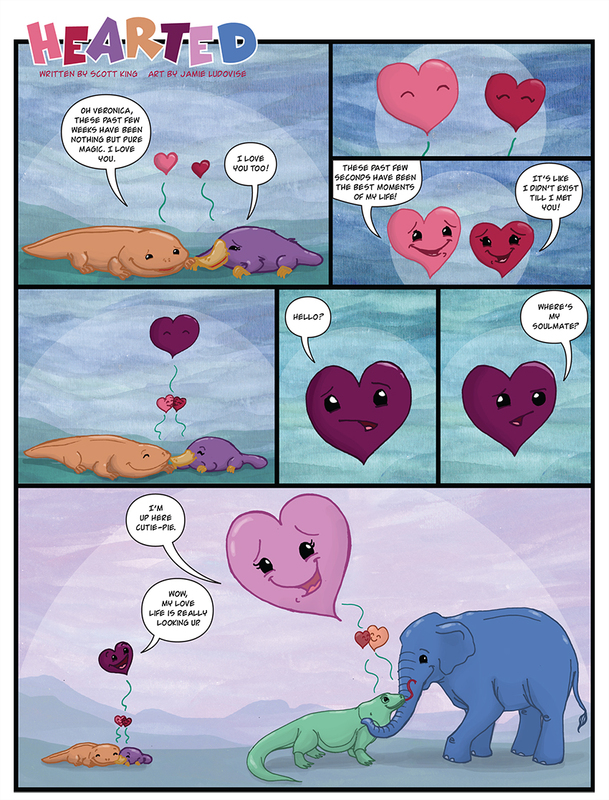 We got 25 people signed up for the Webcomic Blind Date 2013! However, not everyone has handed their comics in. We will add them as they do come in. For now, check out who had theirs in on time! 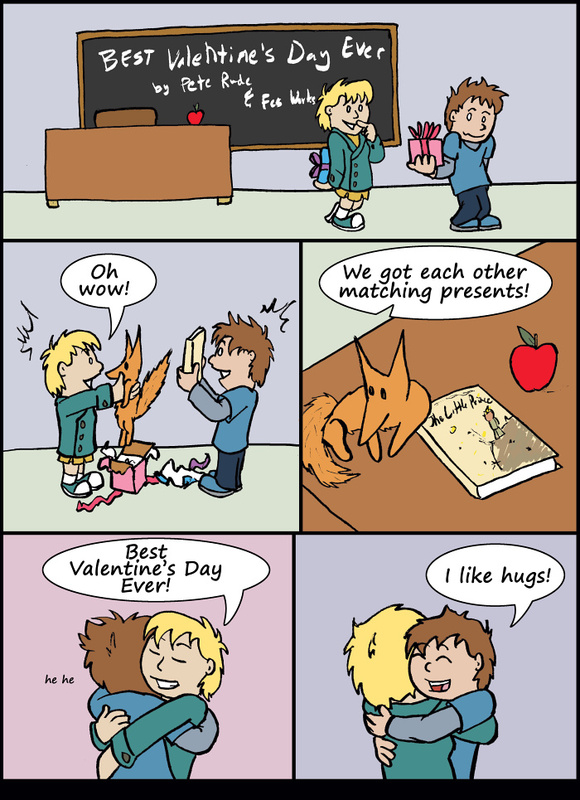 Click the thumbnails, or the provided comic links. 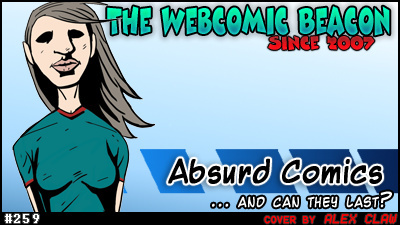 Webcomic Beacon #259: Absurd Comics, and Can They Last? 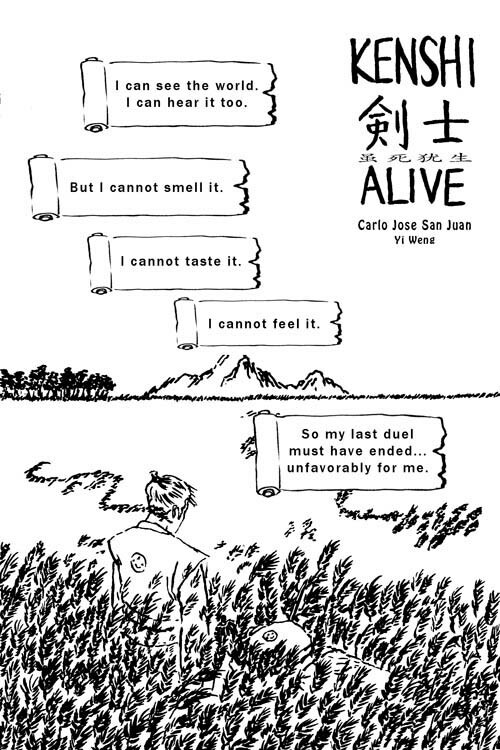 Jules Rivera joins Fes Works and Kelly Turnbull once again, to help us discuss the “absurd” comics, and if it can last. We do get off topic a bit here and there, and talk about absurd TV shows, like Robot Chicken; but we had a real fun time with Jules! I mean, with her being on the show. Talking to her. Next Sunday we will be talking about methods in how people deal with Artist’s or Writer’s block. If you have a suggestion, you can email us text, or an audio file (call-in), or call-in and leave a voicemail at 1+320-310-0922, before Feb 17th. We are also hoping to put together a “Fake Geek” episode sometime; both in being serious and having fun with it. If you think you might be a good person to have on the show for this, shoot us an email! 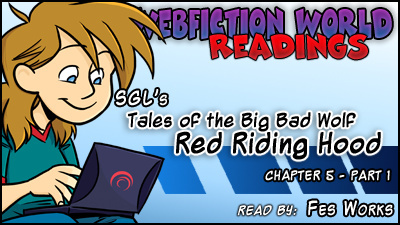 Fes Works reads chapter 5 (part 1) of SGL’s Tales of the Big Bad Wolf (Red Riding Hood Arc) for Webfiction World. Any comic creators that would like to help with POD color-guide project? 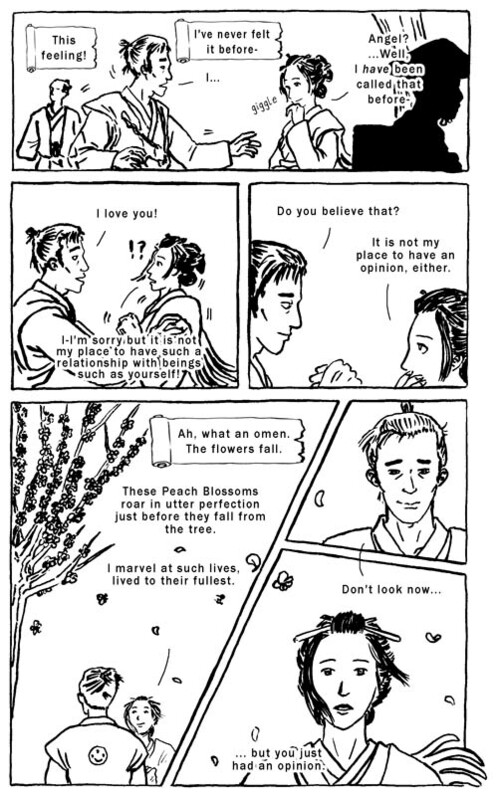 Simply put, a lot of webcomic and comic creators use POD, or Print-on-Demand, digital printing services to print small run comic books; versus using offset printing services. The truth of the matter is that some companies — like Lightning Source, do large (and cheap) POD digital print runs for comic books and graphic novels — are heading that way instead of offset printing. Technology is bringing up the quality of digital printing, making it a more viable option for comic printing. Still, digital printing is still the way to go for all small, and many medium sized comic properties (regarding their marketable audience). You can listen to a whole episode on what The Webcomic Beacon found to be viable options for printing. Though, essentially, nearly all of the digital printing services researched, produced very similar results. Ok, Fes, you are rambling. Get to the point. Ok, so my idea is to put together a “color guide” of sorts. Complete with various colors from the computer, and printing them out. Using a digital file for comparison. It would also include degrees of color, to see where the capabilities of the digital printings are. What colors dull. What percentage of color difference can you REALLY see. What BLACK looks best, etc. In addition to basically printing out colors, I want to compile several pages of various people’s works. Various styles. All together so we can all really see what is happening. Does the way you use gradient shading or background change? Do your color choices get muddy when printed? There’s a huge difference between RGB (colors of light, produced on TVs and monitors), and CMYK (colors of pigment, what REALLY prints). Sometimes your choices matter when you print like that. Maybe it doesn’t matter at all to you. Anyway, my hope is to collect maybe 20 difference pieces from people. There will be a template, but everyone would get one full page to do whatever piece of colored art they want (think of it as a page advertisement). 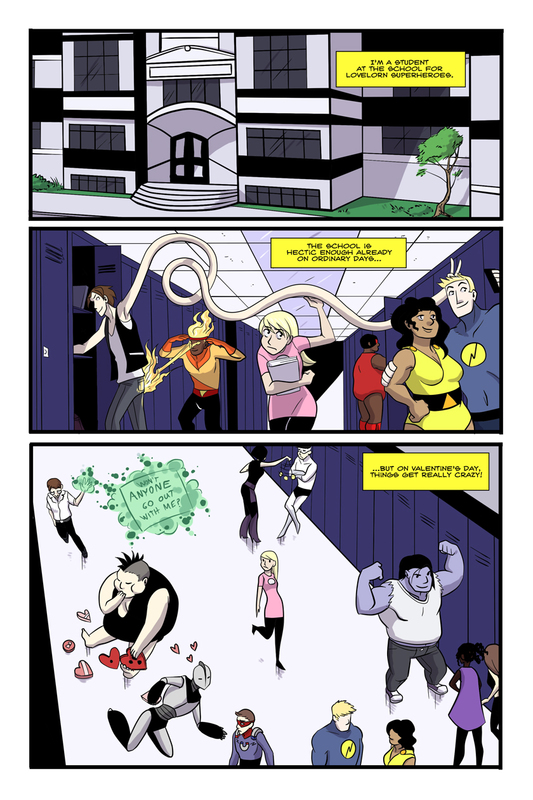 Be it an assortment of characters, a comic page, an independent full page art. 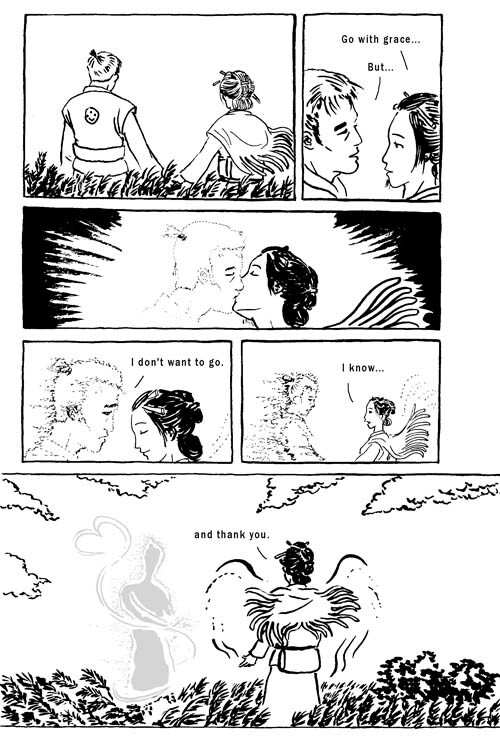 You would also include a paragraph somewhere explaining what you used to create it and how (Photoshop, Tablet, RGB/CMYK, Bpelt, undercolors, hard lines, anti-aliased lines, etc). The plan would be to compensate everyone who participated with their own copy of the final book. Then trying to recoup the costs of that by having it available for sale online, and at conventions. Remember, it also gets paired with a digital file. The project would also have a home on The Webcast Beacon Network, complete with links to all participants. This is an idea in progress (though I already have several color pages ready), so thoughts and ideas welcome, including questions and concerns. I offer a weird way to help people figure out if digital printing with POD services will do them well, as well as seeing how it works with different styles. I still have to develop a proper template, as well as all requirements of submissions, but this post is to find out who would be interested in helping to make this happen. I’m hoping to get at least 20 pages of a variety of styles. The total number of pages, and the number of used submitters, would ultimately determine the costs to me for printing out a book for everyone, and mailing them a copy. So I will possibly not accept all submissions if I get a lot, and final sections will both be judged on artistic skill and overall variety of submissions. Who I will use to print has yet to be determined. Though as I have stated, digital printing seems fairly equal across the board, in quality. I will look into Lightning Source, but they have higher marks for using their service, of which I need to investigate first (I know they have a minimum page number, and they may have a minimum print amount). I may end up printing “test” books on multiple services, and then selecting the “best” one(s), depending on how they handled the RGB and/or CMYK submissions. Yes, I would be accepting either RGB or CMYK files for this, though I will likely do conversions on my side using Photoshop CS5.5. RGB files will need to be converted for most printing services, and CMYK would need to be converted for Ka-Blam. It is highly possible submitters may get TWO copies of the book from different services… depending on the results I ultimately get. 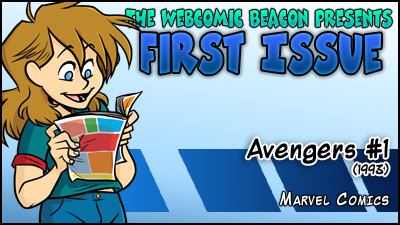 Please leave a comment here, or email webcomicbeacon@gmail.com if you are interested in submitting a page. 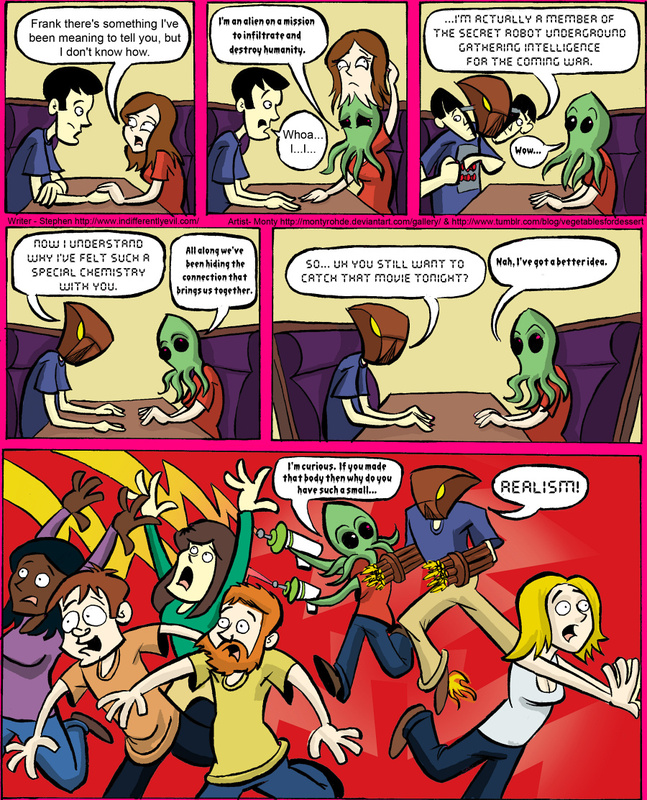 Katie Tiedrich joins Fes Works, Mark Savary, and Kelly Turnbull to talk about her gaming related comic, Awkward Zombie, which is full of Smash Bros., TF2, Mass Effect, Legend of Zelda, and Fire Emblem jokes! As well as her other endeavors. We had a really fun time, but things did end up getting a little awkward towards the end. Why? Blame Fes. We also talk about what conventions we may be attending this year. Fes also appeared on Obsessed (with Joseph Scrimshaw), so please go check out the episode where Fes talks about his obsession with projects!